Analysis: It's a bit of a surprise the team waited this long after giving Frank Gore a one-year, $2 million contract at the beginning of free agency. Coming off three consecutive seasons with less than 4.0 yards per carry, the 31-year-old Ivory likely will need to battle for a 53-man roster spot at his next NFL stop, assuming he continues his career. Marcus Murphy (elbow) now projects as the No. 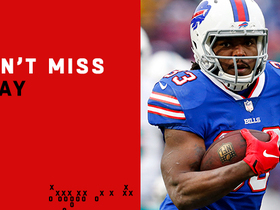 3 running back in Buffalo, though he'll surely have some rookie competition. Analysis: The addition of Gore not only hurts Ivory's chances of winning the backup role, but also makes him a potential cap casualty ahead of the regular season. It doesn't help Ivory's case that he's never contributed much on special teams in his NFL career, which is something most teams demand from at least one of their reserve backs. Analysis: Ivory will break a streak of two games in a row on the inactive list, but could be a candidate to see some carries with rookie Keith Ford a scratch for this contest. LeSean McCoy is listed as the projected starter, but Ivory is the only other true running back suiting up. Should Ivory find himself with a role in the offense, he could see favorable opportunities against a Miami defense surrendering the fifth-most fantasy points to opposing running backs in PPR formats. Analysis: Despite the tag, it looks like Ivory will be be available this weekend after missing the Bills' past two games. That said, in such a scenario, his Week 17 workload would be hard to predict, with the team possibly wanting to close out starter LeSean McCoy's season on a positive note, in addition to giving rookie Keith Ford reps for evaluation purposes. 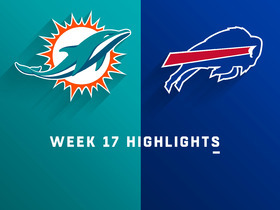 Analysis: It looks like Ivory will suit up for the Bills' finale against Miami after missing the past two games. However, with the team possibly wanting to end LeSean McCoy's season on a positive note in what's been an awful year, as well as continuing to give rookie Keith Ford some totes, Ivory would be a pretty big dart to count on for those scrambling for Week 17 fantasy production. Ivory (shoulder) practiced fully Wednesday. 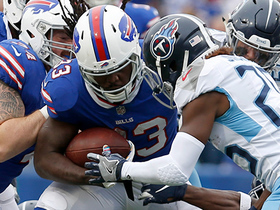 Analysis: Ivory, who has been inactive for the last two games, thus appears poised to join LeSean McCoy and Keith Ford in the Bills' backfield Sunday against the Dolphins. In that context, Ivory isn't a high-percentage fantasy option, given that he'll likely handle only limited carries with the other two backs available. Coach Sean McDermott said Wednesday that Ivory (shoulder) should be in "good shape" for the Bills' Week 17 matchup with the Dolphins, Joe Buscaglia of WKBW.com reports. Ivory (shoulder) is inactive for Week 16's matchup against New England. Ivory (shoulder), who is listed as questionable for Sunday's game against the Patriots, isn't expected to play, a source told Ian Rapoport of NFL Network. Ivory (shoulder) is listed as questionable for Sunday's game at New England. Analysis: After practicing fully for the second straight day, Ivory seems more likely to play than not. With LeSean McCoy mostly healthy in front of him and the Bills wanting to give rookie Keith Ford some looks, Ivory doesn't make for an appealing fantasy option even if he does suit up. Ivory, who missed the Bills' Week 15 win over Detroit and was limited Wednesday with a shoulder injury, was back to a full practice Thursday. 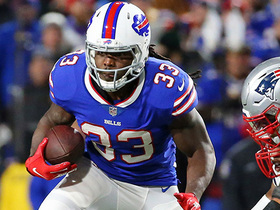 Analysis: It looks like the Bills will be back to their full running back stable as they try to upset the Patriots in Week 16, as LeSean McCoy also practiced fully after missing last week's game. With just 340 rushing yards and one score, Ivory holds almost no late-season value unless the Bills were to sit out McCoy in one of the last two games, which doesn't appear to be in the works. Ivory (shoulder) was limited at practice Wednesday. Analysis: The same applies to top running back LeSean McCoy (hamstring) with both players having sat out the Week 15 win over the Lions. A limited session Wednesday suggests that Ivory has a chance to play Sunday against the Patriots, but if that happens, he would likely work in a complementary role, assuming McCoy is also good to go. Ivory (shoulder) is listed as inactive Sunday against Detroit. Analysis: Ivory was an early exit Week 14 due to the shoulder injury, and even though he practiced all week long, reports leading up to kickoff had indicated that he would be unavailable. 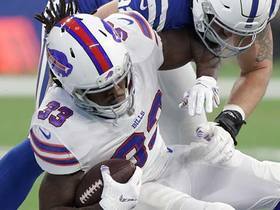 Those reports were confirmed when the inactive list was released, leaving the Buffalo backfield in pretty rough shape for the team's matchup with Detroit. Marcus Murphy and Keith Ford are the only healthy true running backs on the active roster, though Isaiah McKenzie may be an option for carries as well. Ivory (shoulder) is listed as questionable for Sunday's game against the Lions but isn't expected to play, sources tell Ian Rapoport of NFL Network. Ivory (shoulder) is listed as questionable for Sunday's game against the Lions. Analysis: That said, Ivory practiced fully all week, so it would be a surprise if he wasn't available this weekend. Assuming he's a go Sunday, Ivory's fantasy utility is tied to the status of top back LeSean McCoy (hamstring), who is also listed as questionable after being a limited practice participant both Thursday and Friday. Analysis: Ivory's ability to handle every rep of the Bills' first practice of Week 15 suggests the shoulder issue that forced his departure in last weekend's loss to the Jets isn't a concern. The 30-year-old will be ready to go for Sunday's game against the Lions, but how much work he might receive largely depends on the status of fellow running back LeSean McCoy (hamstring). After exiting early in the Week 14 contest with an injury of his own, McCoy was unable to practice Wednesday. Ivory (shoulder) will participate in practice Wednesday, Chris Brown of the Bills' official site reports. Analysis: Ivory's presence on the field in any capacity bodes well for his chances of suiting up Sunday against the Lions. His Week 15 status gains added import after fellow running back LeSean McCoy (hamstring) was unable to practice Wednesday, casting some doubt about the latter's ability to play this weekend. Coach Sean McDermott said Ivory (shoulder) is day-to-day, Mike Rodak of ESPN.com reports. Ivory was forced out of Sunday's game against the Jets with a shoulder injury. 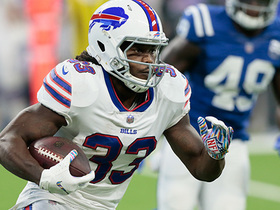 Analysis: With LeSean McCoy dealing with a hamstring issue, Marcus Murphy is now in line to handle the Bills' running back carries Sunday. Ivory rushed four times for six yards and wasn't targeted in the passing game during Sunday's loss in Miami. 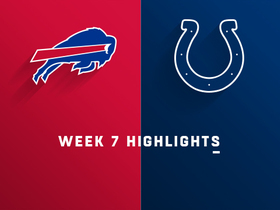 Analysis: Ivory hasn't had meaningful production in a game since Week 7 against the Colts, and with quarterback Josh Allen proving more than adept in the running game, the veteran running back's role gets pushed downward even more. As we've stated before, Ivory only serves as an insurance option for LeSean McCoy owners, while even the elusive McCoy has had a tough time producing in this offense. In other words, like a 2017 smartphone, it's insurance for something not nearly as valuable as last year. Ivory carried three times for 14 yards while not being targeted in the passing game in Sunday's win over Jacksonville. 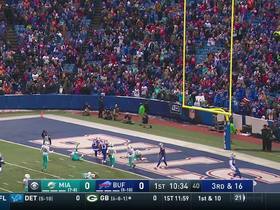 Analysis: Ivory and LeSean McCoy took a back seat to quarterback Josh Allen, who set a franchise record for rushing yardage by a quarterback with 99 yards. Ivory has averaged 4.7 yards per carry or better for four straight contests, but simply put, he's stuck in single-digit-carry territory unless McCoy suffers an injury. The Bills don't score enough to make Ivory a red-zone threat, as the plowing runner has just one touchdown all season. Ivory (shoulder) was listed as a full practice participant Wednesday. Analysis: Ivory is thus poised to return to the Bills' backfield mix after a one-game absence. He'll take aim this weekend at the team he played for in 2016 and 2017, but as long as LeSean McCoy is healthy, Ivory's complementary role makes him tough to rely on from a fantasy perspective. Ivory (shoulder) is listed as inactive Sunday against the Jets. Analysis: Ivory practiced on a very limited basis this week, but he won't be available to suit up for his regular backup running back role. While LeSean McCoy should be ready to take on his regular workload, it will be Marcus Murphy backing him up Sunday afternoon. Ivory (shoulder) is listed as questionable for Sunday's road game versus the Jets. Analysis: After sitting out Wednesday's session, Ivory wore a non-contact jersey Thursday and Friday, earning a "limited" tag both days. There seems to be a chance Ivory will suit up Week 10, a call that will be made by the release of the Bills' inactive list 90 minutes before Sunday's 1:00 PM ET kickoff. If Ivory ultimately is ruled out, Marcus Murphy will serve as the preferred backup to starting running back LeSean McCoy. Ivory (shoulder) continued to sport a non-contact jersey at Friday's practice, Mike Rodak of ESPN.com reports. Analysis: The running back will be limited during Friday's session, so we'd expect him to be listed as questionable, at best, for Sunday's game against the Jets. If he's out or limited at all this weekend, Marcus Murphy would be in line for added snaps behind Buffalo's top back, LeSean McCoy. Ivory (shoulder) practiced Thursday in a limited fashion. Analysis: According to Chris Brown of the Bills' official site, Ivory was donning a red no-contact jersey during the session, which likely contributed to him drawing the limited tag. Even so, it's still a step forward for Ivory, who was deemed a non-participant Wednesday in the Bills' first practice of the week. He'll look to upgrade his activity Friday to clear up any concern about his status for Sunday's game against the Jets. Ivory (shoulder) was sporting a red (non-contact) jersey at Thursday's practice, Chris Brown of the Bills' official site reports. Analysis: We'll have to see if the Bills list Ivory as a limited or non-participant Thursday, but the fact that contact is still off limits at this stage suggests that he's not a lock to play Sunday against the Jets. If Ivory is out or limited this weekend, Marcus Murphy would be in line for added snaps behind starter LeSean McCoy. Coach Sean McDermott said Ivory (shoulder) wouldn't practice Wednesday, Matthew Fairburn of The Athletic reports. 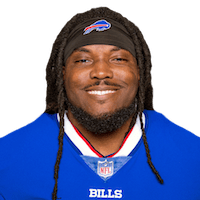 Ivory has a sprained left shoulder and was labeled "day-to-day" by coach Sean McDermott on Monday, Chris Brown of the Bills' official site reports. Ivory won't return to Sunday's game against the Bears due to a shoulder injury. Analysis: It wouldn't be a surprise if it's subsequently revealed that Ivory dislocated his shoulder after seeing him hold his left arm in place as he walked off the field with trainers before being carted off. Next up for carries behind LeSean McCoy in Ivory's absence is Marcus Murphy. Ivory (undisclosed) was carted off the field during Sunday's game against the Bears, Mike Rodak of ESPN.com reports. Analysis: Rodak notes that when trainers walked Ivory off the field, the running back was holding his left arm in place. Prior to his exit, Ivory had rushed seven times for 36 yards and caught three passes for 20 yards. 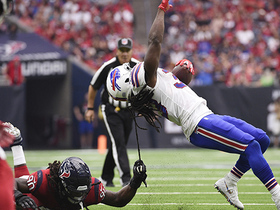 Buffalo Bills running back Chris Ivory gets taken down by his hair for a 3-yard loss by Jadeveon Clowney of the Houston Texans. Buffalo Bills running back Chris Ivory runs 7-yards with defenders on his back.